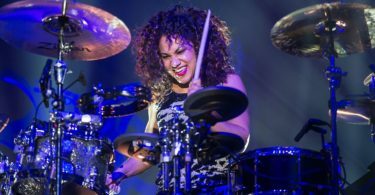 If you want to find the best tools to tune your drums, I can help. I’ll take you through my process, so you can understand how I came to my recommendations, empowering you to do your own research if you like. Ultimately, you’ll understand exactly what each of these four items can do for you, and it’ll make optimizing your tuning process that much easier. In case you’ve never read one of my recommendations, let me take a minute to toot my own horn (or just explain my methods). I’ve worked as a classically trained percussionist for over 20 years. I’ve recorded with a number of jazz and rock bands, and I played good ‘ol marching snare in college. Those are just the prerequisites. For this list of recommendations, I reviewed a few dozen different tools. I have tried them all with my own hands and ears, and then I tempered my experience by delving deep into online reviews (I wouldn’t want too much of my own bias here). In the end, I ranked the top choices because I found value in them for every level of percussionist and drummer, so you can believe that I take pride in my stamp of approval. I hope it can help you. 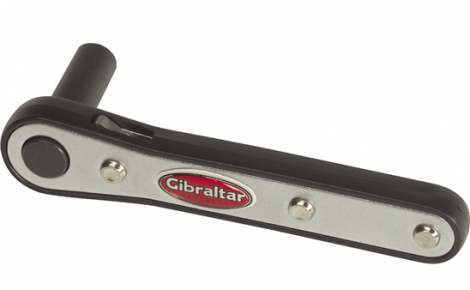 My personal favorite, the Gibraltar Ratchet Drum Key, is one of four devices that I can comfortably recommend to any drummer, from beginners to world-class professions. Ranking tuning devices is an interesting prospect. First, the range of functions is pretty large. Some things actually torque the lugs while others simply assist in hitting or matching desired pitches. Ultimately, I had to find a set of metrics I could use for comparison. I settled on the following five. This is a metric that will gain value as you gain experience. For brand new drummers, having tools that make tuning faster means very little. As you expand your repertoire, you’ll find yourself tuning more instruments and more often. This will push you to value tools and tuning devices that save time, and as your ears improve, you’ll be able to hit great pitches with less effort, so faster tools are that much better. Then, you have the real pros: people who have to change and tune heads multiple times a day. Anyone who reaches this point cares more about fast action than even precision or sound quality. You only get so many hours in your life; how many do you want to waste on torqueing lugs when speedier solutions exist? In this review/recommendation, speed is not the ultimate measure of quality, but it does weigh heavily. After that nice talk about fast tuning, I have to immediately backtrack. 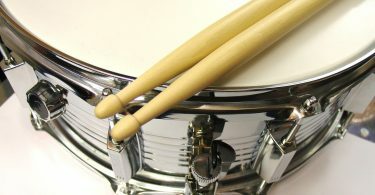 In life, precision usually comes at the cost of speed, and there comes a point where that is true for tuning drums as well. At the beginning level, you don’t have to choose between the two, but when you pursue the most pristine sound quality, then you will trade time for perfection. It is in this vein that I measure precision as a metric. Regardless of how fast or slow you can get the tuning done, tools that rank high in precision will enable you to tune drums to literal perfection. How long it takes often depends more on your skills than the tools you use. It’s worth noting at this point that I belong to an old school of thought. In my experience, the best technology in the world is still inferior to a properly honed ear. Electronic tuning devices were reviewed in this process, but if you are looking for professional quality pitch and sound, then I am going to suggest training your ears over those options. 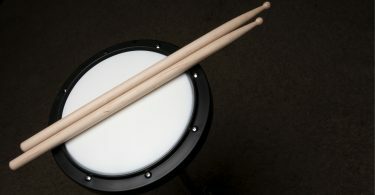 Believe it or not, drums come in different shapes and sizes, and those variations suit different purposes. While no single tool is perfect for every job, being able to adequately do more with less equipment is generally a good thing. That is why I did go through a ton of multi-tools and sets that aim at giving you a full range of tunability. I rate versatility just a little lower than the other metrics I’m listing, mostly because anyone with the range of equipment or vast experience necessary to require high-tier versatility will probably agree with me when I suggest that speed and precision are more important. With that in line, I score versatility as bonus points — good for a tie breaker. Torque is an interesting concept in tuning, and it actually ties into versatility. 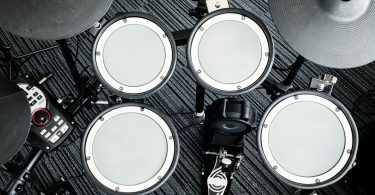 Your standard drum set doesn’t require any high-torque tuning, but that doesn’t mean consistent torque is without value. 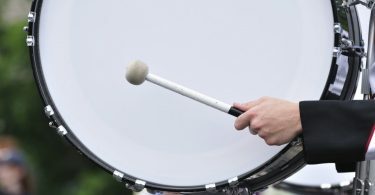 On the other end of the spectrum, marching snare drums can be a total nuisance to properly torque, and tuning a 15-piece snare line will cause worse things than hand cramps if you don’t use the right tool. So, torque rates between precision and versatility as a performance metric, and I could almost exclude it since it is almost completely covered by those concepts. Ultimately, I won’t ignore the needs of the marching sector, so I’ll specify when high-torque capabilities have something to offer. Pitch and sound are why you tune drums in the first place. In this case, I saved the proverbial best for last. As convenient and compelling as the other metrics are, they fall before the ultimate law of any real musician. Sound is king, and it matters more than everything else combined. In the case of tuning instruments, it might stand to reason that precision and sound are the same metric. I offer this counter: devices that use torque settings or electronic pitch recognition can give you incredible consistency, but when it comes to the absolutely most extreme cases, those tools will diminish sound quality. 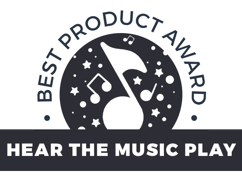 It circles back to my belief that good ears trump devices, so when I reviewed products that de-emphasize ear training, they often lost points in this regard. As you saw with the metrics, there is a wide base to cover, so no single key can by my final verdict. Instead I have four recommendations, each appealing to a different niche. From the categories, I used the above metrics to determine an absolute best, but comparing each of these items to each other doesn’t make sense. There are two items that are amazing for adding consistency to your tuning, and they both make the process speedy. One is the Evans Torque Drum Key, and the other is the Pearl Tune-Bot Electronic Drum Tuner. They serve different functions, so let’s talk about the key first. 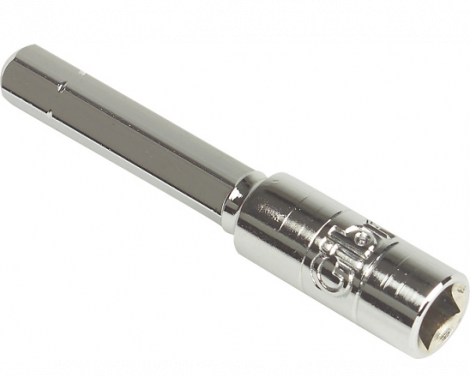 If you have ever needed to use a torque wrench, you already know their value. There are a number of different torque keys on the market, but Evans one me over on ease and speed of use. The torque is easy to set, but Evans bests most competitors by having a little more resistance on the dial, making it more difficult to accidentally shift the torque setting while it’s in use. For anyone who has wanted to quickly crank a whole group of drums, this is an important defining feature. 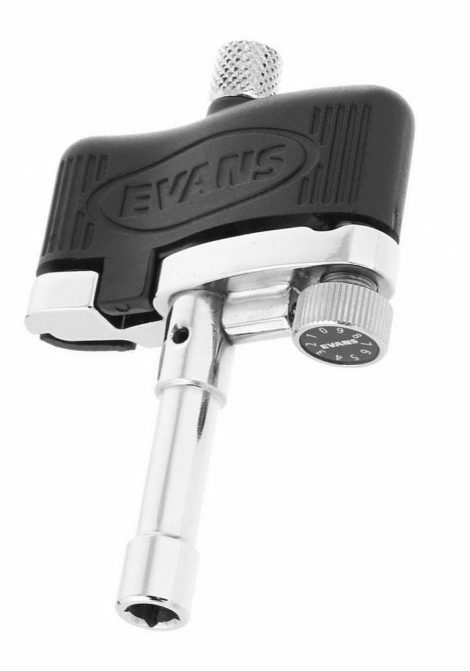 The Evans key will enable you to hit very good consistency and save you time. There is a drawback worth mentioning, and it holds true with any torque key. Equal torque on lugs does not always result in equal pitch, so when you need absolutely perfect sound, you can use this key to get close, but you’ll need your ears for the final adjustments. 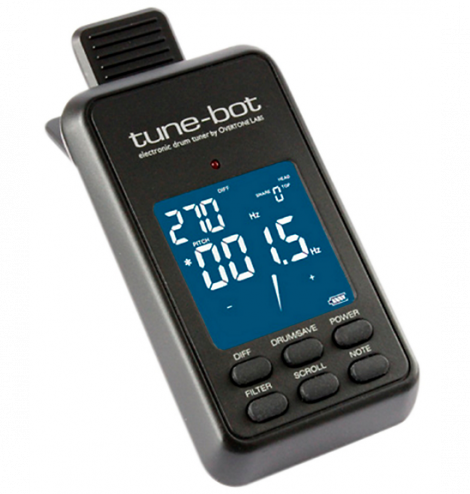 The Tune-Bot Electronic Drum Tuner is an amazing device. Despite my old-fashioned tendencies, even I can appreciate the value of an electronic tuner. There are several different models, but I’m going to have to recommend the Gig. It’s in the middle tier of pricing, and it wins me over for a few reasons. First, it’s the least amount of money you can spend to get the level of accuracy this device provides. It makes it an excellent tool for beginners to learn more about tuning, and it really shines when you need to tune a lot of instruments. Even the most tested veterans can go ear blind after enough tapping. This tuner can save you that pain, and utilizing it can enable you to blaze through a large pile of instruments with almost as much speed as the torque key. I picked the Gig over the more expensive option because I didn’t really value the extra features. By the time you need quality that exceeds what the Gig offers, your ear is going to be more valuable than expensive electronics. While the previous two devices can definitely save a lot of time, they pale in comparison to the raw speed of the Gibraltar Drill Bit Drum Key. As the name suggests, it can attach to an electric drill or screwdriver, enabling the fastest possible times for removing drum heads. While a few variations are on the market, Gibraltar won me over with longevity. If you lead a musical lifestyle that actually merits getting one of these, it’s going to be used and abused. With such a simple design, the only way to pull ahead is with a better warranty, and Gibraltar is currently winning that war. Now, before you go and order one of these, take a word of caution. Drill bit keys are not for beginners, and they should never be used for tuning. These are just for swapping heads quickly. The lack of torque release makes it extremely easy to strip a lug or destroy a head with these things. That said, if you can use this (and you knew right away if you’re in that group), there is no other key to consider. I mentioned torque as a metric specifically because I wanted to include this key. The Gibraltar Ratchet Drum Key is a personal favorite of mine. That said, it isn’t the best device for every situation. Where it does shine is in high-torque situations. Mostly, that means it’s amazing for cranking marching snare drums. The ratcheting action is all good and well, but it’s the handle length that makes this so wonderful. Hitting those high torques is murder on the hands, so you want a longer lever arm. On the other hand, if you end up using a regular ratchet, you get too much leverage and it makes it easy to over torque. This ratchet key hits an amazing sweet spot, and I’ve never experience a more perfect length. 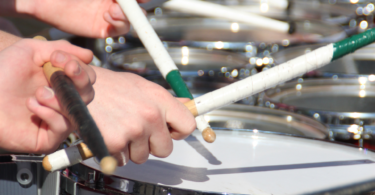 If you don’t find yourself tuning marching drums, it still holds value. The ratcheting action makes it the fastest hand-powered key you can get, and the longer arm also gives you just a hair more control when you are looking for those small fractions of a turn to get perfection. I can’t, in all honesty, call this the best on the market. I can, however, call it my personal favorite with no reservations.